Welcome to another week. It’s Monday! 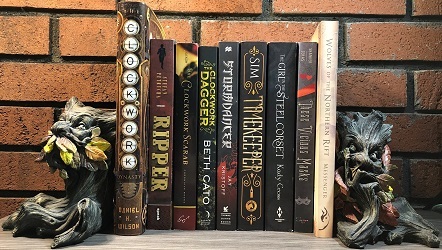 What are you Reading is hosted by Kathryn from Book Date, this is a weekly event to share what we’ve read in the past week and what we hope to read, plus whatever else comes to mind. In this ingenious and captivating reimagining of Rudyard Kipling’s classic adventure The Jungle Book, Neil Gaiman tells the unforgettable story of Nobody Owens, a living, breathing boy whose home is a graveyard, raised by a guardian who belongs neither to the mortal world nor the realm of the dead. Among the mausoleums and headstones of his home, Bod experiences things most mortals can barely imagine. But real, flesh-and-blood danger waits just outside the cemetery walls: the man who murdered the infant Bod’s family will not rest until he finds Nobody Owens and finishes the job he began many years ago. Has anyone read any of these books? If so what did you think? What are you reading this week? Let’s talk about!